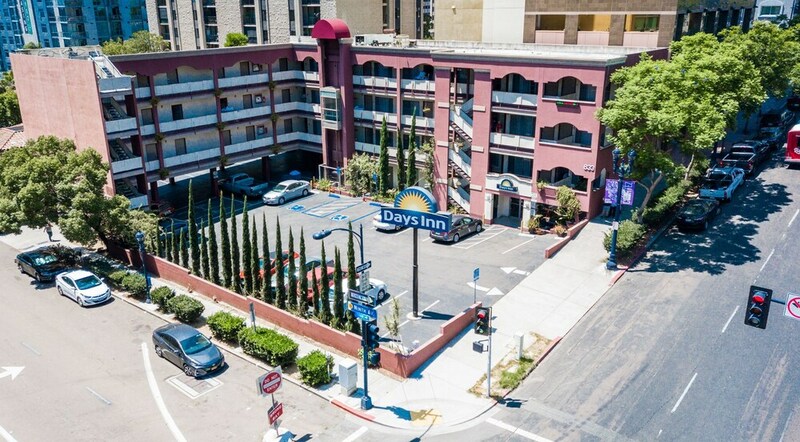 Located in San Diego (Downtown San Diego), Days Inn by Wyndham San Diego/Downtown/Convention Center is within a 10-minute drive of Balboa Park and San Diego Zoo. This motel is 1.4 mi (2.2 km) from San Diego Convention Center and 1.5 mi (2.4 km) from USS Midway Museum. Make yourself at home in one of the 44 air-conditioned rooms featuring refrigerators and microwaves. Complimentary wireless Internet access keeps you connected, and cable programming is available for your entertainment. Private bathrooms with shower/tub combinations feature complimentary toiletries and hair dryers. Conveniences include safes and desks, as well as phones with free local calls.